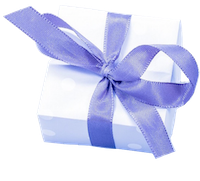 Gift certificates can be customized for any service or dollar amount, & may only be redeemed for services or products. At Skin Couture, we always strive to provide quality service in a professional manner. We ask that you understand and respect the conditions of these services when purchasing a gift certificate. We require a 24-hour notice on all cancellations. If a scheduled treatment is missed without a 24-hour notice, the gift certificate that was going to be used for that appointment will be null and voided.